Try this easy and delicious layered dessert with mangoes for your ifthar party and please your crowd. Boil milk in a sauce pan by adding condensed milk. Stir well to avoid any burning. Mix arrow root powder with 1/4 cup milk and mix well without any lumps. Add it in to the boiling milk. Stir continuously on low flame until thickens well. 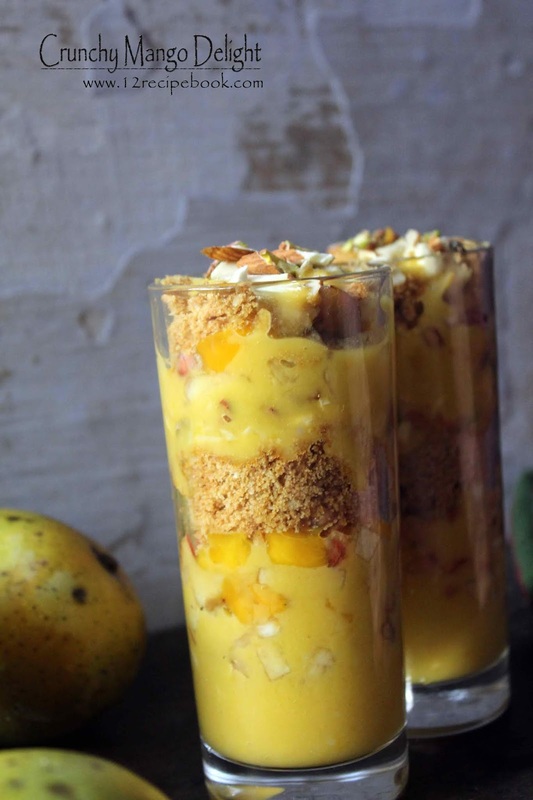 Turn off heat and add mango puree. Mix well and cool it in fridge for about 20 minutes. Assemble all other ingredients near by. Take two tall glasses; layer the dessert. 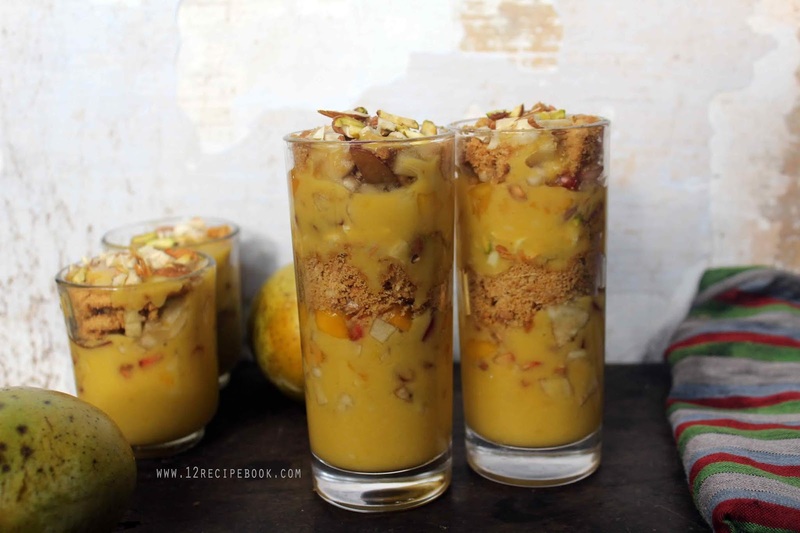 Add mango cream in both glasses; top it with chopped fruits followed by crushed biscuits and nuts. Repeat the layering until reaches the top of the glasses. Chill at-least for an hour to set.